Tomb Raider - Available as a download or stream? 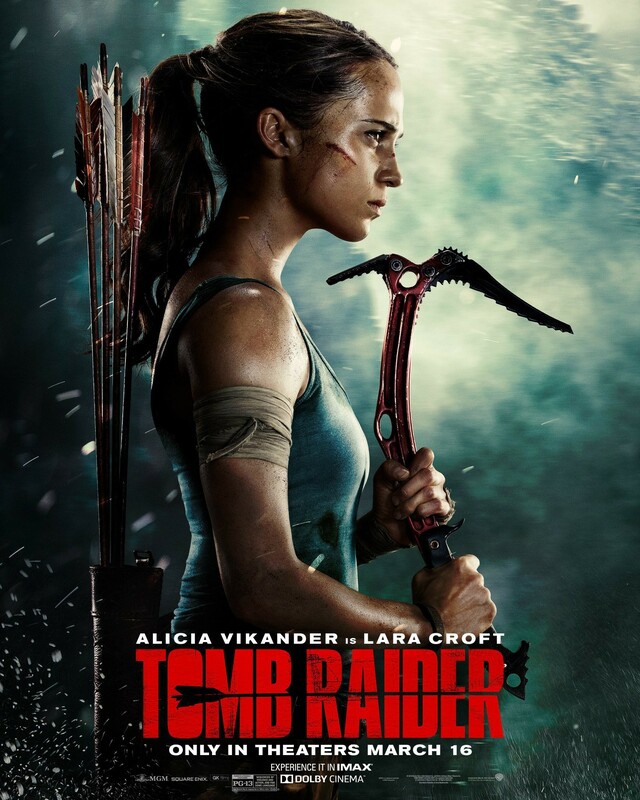 Back in April of 2015, Warner Bros. Studios confirmed that they had signed Academy award-winning actress Alicia Vikander to star as Lara Croft in their adaptation of the video game franchise “Tomb Raider”. It will be the first English language film from Norwegian director Roar Uthaug. Eventually it was revealed that Dominic West would portray the love interest and Walton Goggins would be the main antagonist. Throughout a six month period in 2017, principal photography took place in Cape Town, South Africa. It will be released in IMAX and 3D on March 16th, 2018. Although nothing has been officially confirmed, producer Adrian Askarieh stated in an interview they hope to eventually create a cinematic universe featuring various video game adaptations owned by Warner Bros.